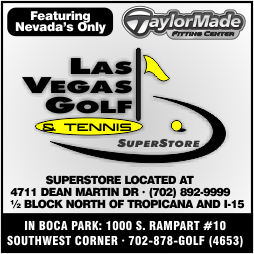 New RioSecco.net Features Las Vegas Golf Packages, Tee Times, T-Mate Photos! Check Out Arthur Hills’ Las Vegas Golf Course Legacy Golf Club Pics, Get Best Rates! January 21, 2008–The Legacy Golf Club is one of four Las Vegas golf courses operated by OB Sports, and is a challenging design by the esteemed Arthur Hills. The Legacy Golf Club is typified by Arthur Hills fairways that are accented with mounding and ledges in addition to well-placed bunkers that direct golfers where to hit shots, but also gobble up errantly-struck shots. Official Las Vegas golf course guide. December 17, 2007–Rhodes Ranch Golf Club is one of two Ted Robinson-designed Las Vegas golf courses (Tuscany Golf Club, a sister course), and offers a friendly round of golf on a Las Vegas golf course that features rolling and wide fairways and challenging and stunning par 3 golf holes, two characteristics for which Ted Robinson golf courses are known. You can take a complete tour of this Las Vegas golf course at rhodesranchgolf.com, and also view package deals, read a funny cartoon or two, and learn about all things Rhodes Ranch Golf Club. Rio Secco Golf Club is the home of the Butch Harmon School of Golf, the fabulous T-Mates, and 18 holes of splendid Las Vegas golf. Rees Jones has been named one of golf's most influential people, and is known as the US Open docter for his work at re-tooling some of America's most traditional golf courses to get them ready to host the United States Golf Association's major championship. The world-renowned Cascata, right here in Las Vegas golfdom, reflects his design philosophy perfectly. Want to see Pete Dye’s dazzling Vegas courses? 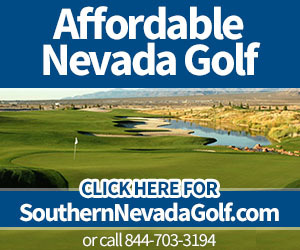 Golf in Las Vegas will never be the same with the launch of golflasvegasnow.com, a website/blog that is the new link to Las Vegas golf, and a place where you can connect direct to the official websites and tee time reservations of Las Vegas' best golf courses.